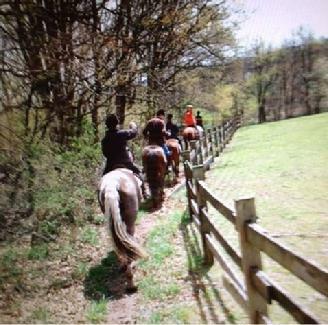 The Pittstown Trail Association is an equestrian trail riding organization that was founded in 2002. Our extensive trail system encompasses large parts of Union and Franklin townships. With development constantly threatening the rural lifestyle of northern Hunterdon County, establishing and maintaining trails is a daunting task that requires tireless dedication on the part of those that love to ride. A good trail system is the backbone to maintaining open space and a rural way of life. There are lots of great ways to get involved, meet the local horse community, and learn the trails! Visit us on Facebook to learn more or go to our Membership Page to get started!